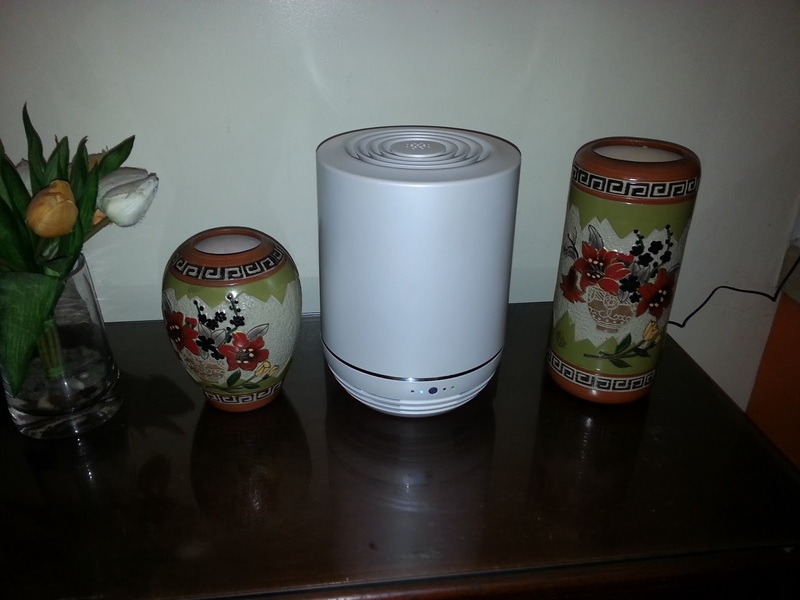 When it comes to protecting our home from pollutants and irritants that comes in through air, Air Purifiers or Air Cleaners provides a better solution and a good aid for people who have health issues like asthma and allergies. EPA (Environmental Protection Agency) studies found indoor air pollutants were generally 2 to 5 times greater than outdoor pollutant levels! Breathing clean and safe air must be our No.1 priority for our families, especially for our babies. As we all know, early childhood is a critical period for babies as this is the development stage of several biological systems such as the brain, lung and immune system. And air toxins have a great effect in their health causing asthma and other lung-related diseases. Basically there were natural ways to improve indoor air quality like increasing air ventilation at home and regular cleaning, but if your home (just like ours!) 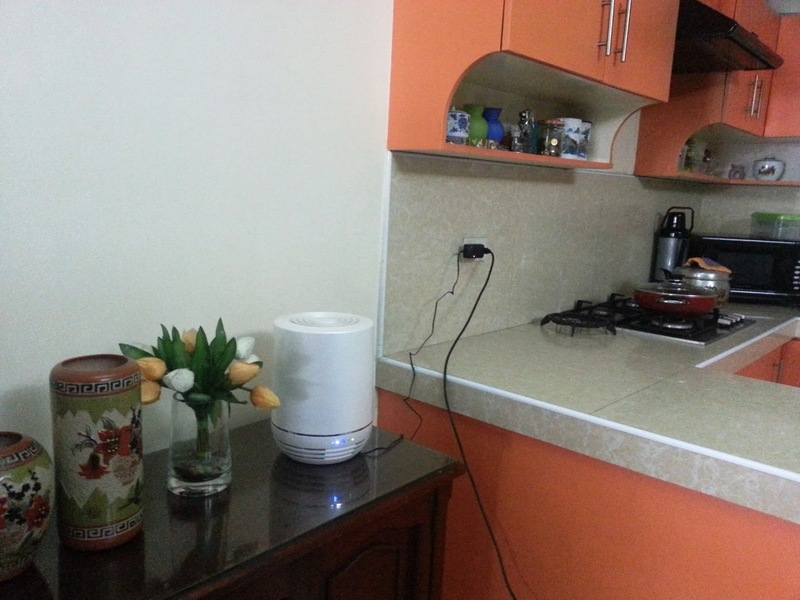 was airtight where irritants can't easily escape, using Air Purifier was highly recommended. 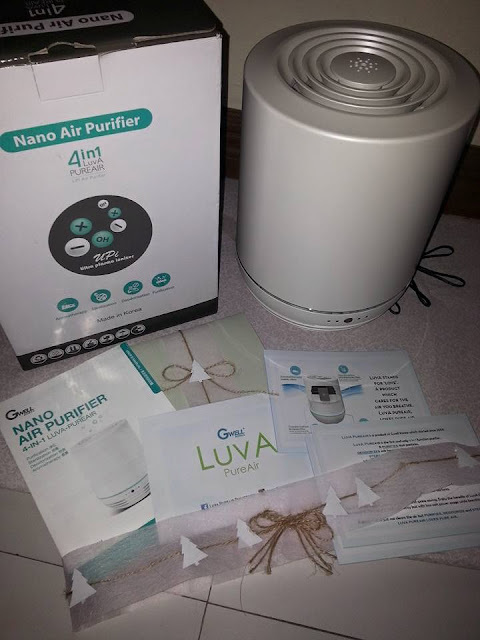 Thankfully, Luva PureAir, a product of Gwell from Korea which started since year 2008, was introduced to our home that promises to Purifies, Deodorize, and Sterilize, with a bonus of Aromatherapy function. We only have one window at home on our first floor, so having an appliance that can purify indoor air was a smart discovery. The only window at home in the receiving and kitchen area. LuvA stands for "Luv (Love) Air" that means love clean air. A product which cares for the air you breathe. LuvA Pureair, Loves Pure Air. So there, that's the perfect place for the LuvA PureAir in our home... In the kitchen, the stove emits nitrogen dioxide, one of the most irritating gases. This gas at higher levels can cause wheezing in people who don't have asthma. When we are cooking, we use range hood to avoid nitrogen dioxide buildup. Since we really have an issue on proper ventilation, LuvA PureAir makes us now worry-free on the quality of our indoor air . 1. It Purifies dust particles. Remove 99.9% of Sick house syndrome, smoke and bad odors. Remove 99.7 of various viruses and bacteria such as influenza virus, HSN1, N7N9 when use regularly. 4. It has Aromatherapy function that could alleviate stress. My fave Cucumber Melon scent! Before, ok na 'ko using fragrance oil warmer, it makes me think that we are having fresh air kasi mabango, it can masks the bad odor. But then having this LuvA Air Purifier, makes me realize that it is good to invest in a product that cleans and deodorizes the air. This product was scientifically tested to remove dust particles including pet danders and disinfects pollutants like harmful chemicals coming from household cleaning materials and gas stove. It also terminates viruses and kills bacteria. The white one filter, is the e-Nano filter, you can check to see how much dirt it has filtered by turning the cover counter-clockwise then after pulling out the cover, at the back, pull the filters out. At the top of the filter is the carbon filter, the black one, and when you tilt it upwards you will see the e-Nano filter. You can see the changes of its color from white to gray if used regularly. You may clean the e-Nano filter only. It is preferred to only submerged it on tap water, not to directly wash it in running water then let it dry afterwards. After a month of regular use, I checked the e-Nano filter and saw the dust it accumulates. 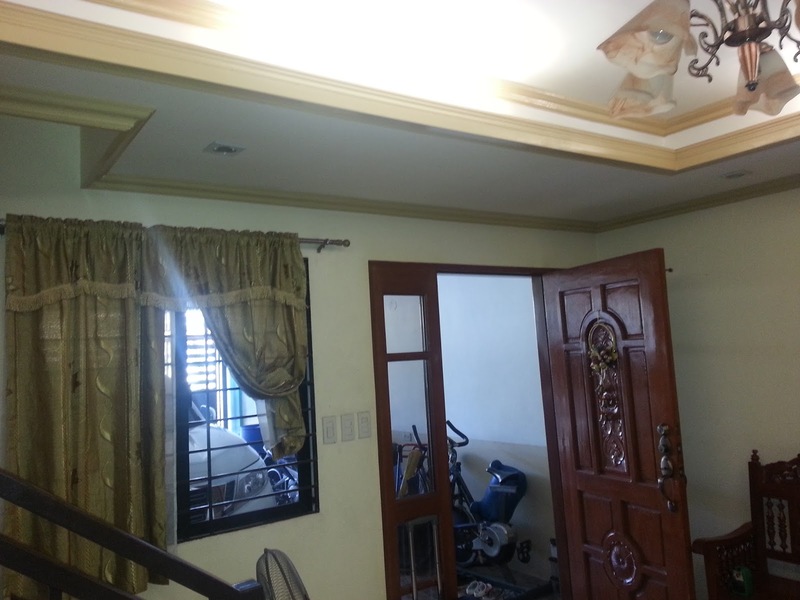 Area Coverage: up to 36 sqm. 190 x 250mm / 1.7 kg. 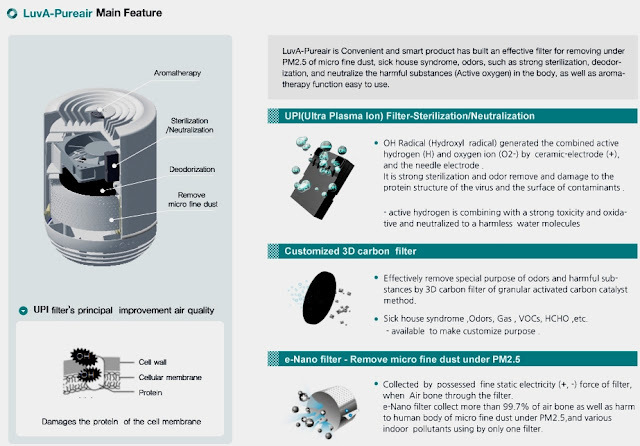 e-Nano Filter / Ultra Plasma Ion filter / 3D Carbon filter. 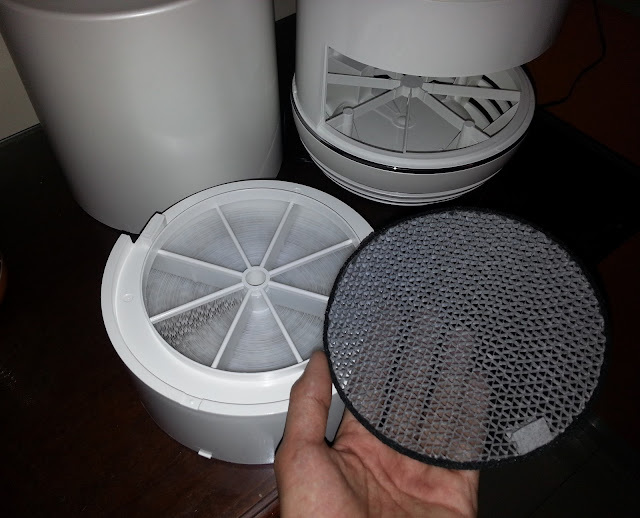 The e-Nano filter and Carbon filter can be changed every 6 months. For the e-Nano filter, it can be washed by submerging into water. As long as it is in good condition, it can still be used longer than 6 months. 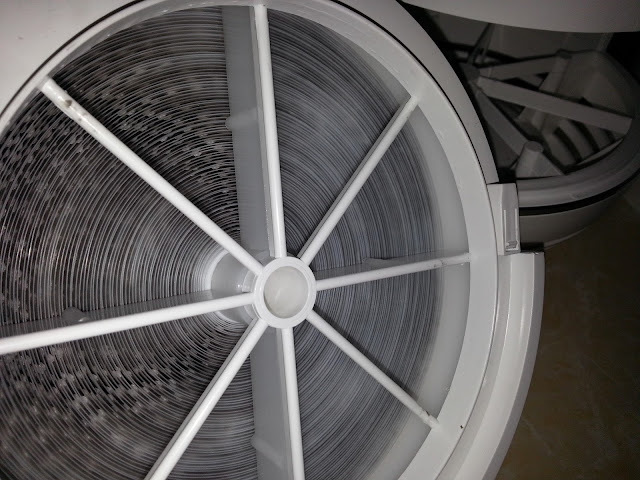 You can contact Visiontec Marketing Inc. at 781-6731 regarding filters. Available at Rustans Shang, Makati and Alabang Town Center. 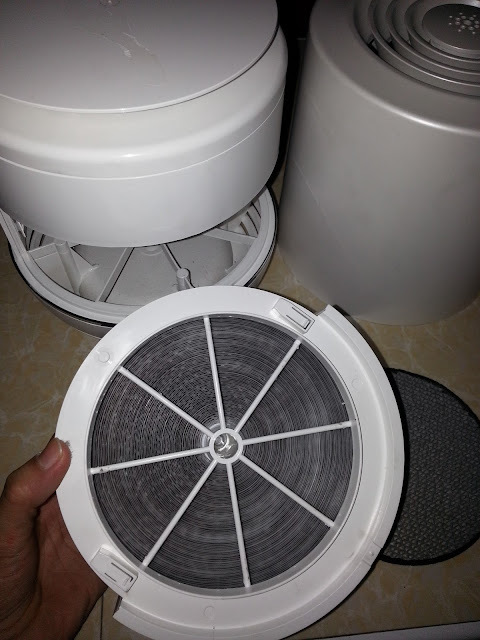 Overall, I found this product a smart choice and beneficial, it's a one time investment for a longer protection for indoor air for our families. Actually, it can also be used at other rooms like hotel, hospital, and even office rooms as long as the room is up to 36sqm. for more effective results. 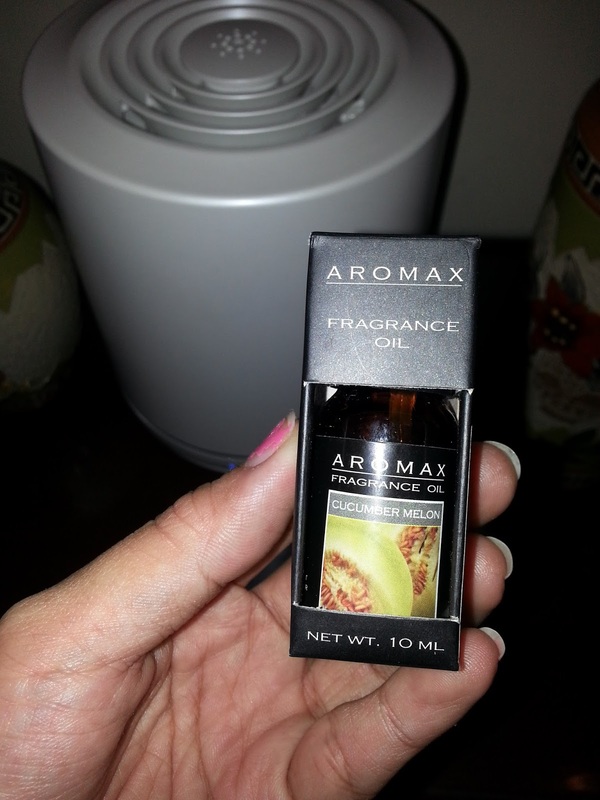 I only use frangrance oil warmer to have that malinis na Amoy. Never thought of air purifier but now would like to try. Only that it's kinda expensive pala. But then, it's a smart investment. It would be nice to receive such as nice gift like this. I pray that that someone knocks on my door one of these days. I think this is something we can definitely use at home but it is a bit expensive. Well, you can't put a price on clean air. It's a bit pricey for me but If I'll have extra money I will buy one of this. I saw this on Kris Tv. I think this is really cool. Though its a little bit expensive but sulit naman. Oh? Yeah, sulit... quality and worthy products usually comes a bit expensive. I was able to try LuVa Pure and its really purifies the bad odor. Two thumbs up. we used to have a dehumidifier but I stopped since I was hospitalized for severe allergy in my throat. as in nagbleed yung throat ko when I cough because of irritation. yung sudden change ng air quality at home and new scent triggered the allergy. so I suggest, even if dehumidifiers are generally good, to make sure that you are not sensitive to it. Grabe in the city, you can't be too sure about how clean the air is. Glad that there are products like this that can help clean the air we breathe at home. This is a great review. This is a very good product. This help us to air cleaned up. They are able to remove bacteria, viruses and any other threatening particles, pretty much all. Such a great invention. Mommies really need this for their babies. We’re looking for an air purifier especially when Baby Charley got sipon. This is quite pricey though, but when it comes to health it’s a worthy investment. Such a great invention. Mommies really need this air purifier for their babies. We’re looking for an air purifier especially when Baby Charley got sip on. This is quite pricey though, but when it comes to health it’s a worthy investment.